Say goodbye to ageing spidery veins and restore youthful calm to your skin. WHAT IS FACIAL THREAD VEIN REMOVAL? 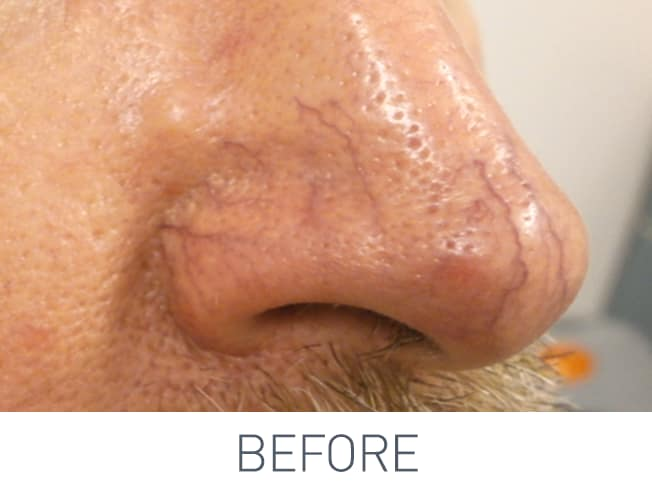 Facial thread veins are removed with the use of a laser. Laser light is directed at the unwanted veins, causing them to heat up extremely quickly; they then break down and collapse in on themselves. The process is called photothermolysis. Our state-of-the-art lasers eliminate only the unwanted red veins and the treatment doesn’t affect surrounding skin, leaving you with healthy and clear, vein-free skin. 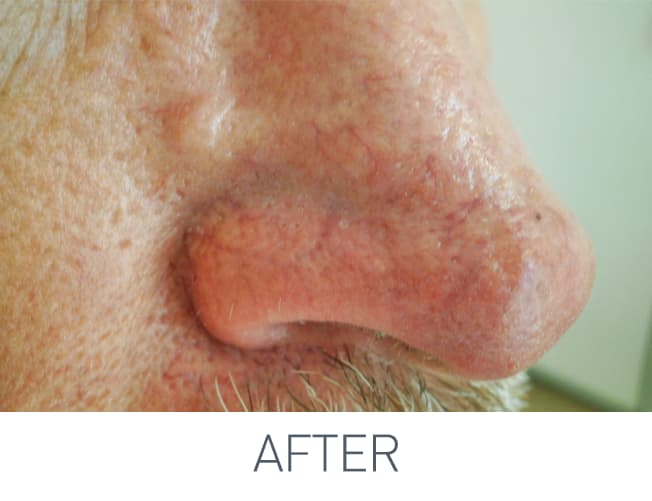 Laser treatments offer a safe, fast and proven way of minimising facial thread veins. Our clients often see a visible reduction in unwanted veins by as much as 75% with one to three treatments, so you can expect to say goodbye to red veins and say hello to beautiful, vein-free skin.